Tickets for our 2019 Spring Festival are now available to purchase from the ECB Store using our own on-line ticket facility. This can be found by following this link. Here you can purchase and then print your tickets at home before coming to the concert. Payment is via a PayPal account. 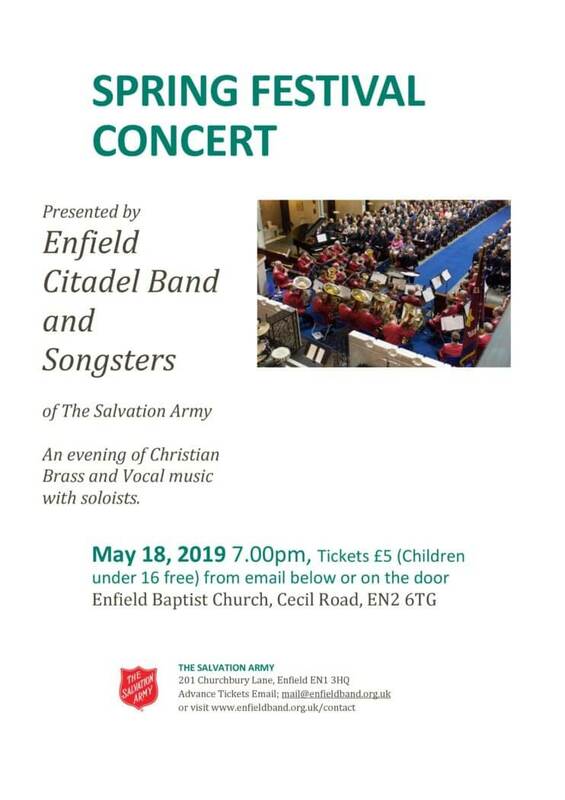 Tickets will be available on the door but please do purchase in advance to avoid disappointment at this concert which will also feature Enfield Citadel Songsters and our own soloists. For those people who do not have PayPal account please email the band via our contact us page and tickets can held on the door for you. The band wishes all a happy, safe and God filled New Year.